Document Shredding at Your Location — How About Tomorrow? If you call us today we could be at your Cambridge MA location as soon as tomorrow to shred your private papers. We’re service residential and business customers Monday to Friday, so you can make an appointment any date that works best for you. We enjoy working one to one with our customers that’s why our staff actually answers every call to our office. Our customer service staff will explain our services and help you pick the best option for you. We’ll also give a reasonable quote and you can schedule an appointment that’s convenient for you. Onsite Shredding Is More Secure! We never leave you with a question of what happens to your documents because we shred them at your location and you can witness the entire process. Our technicians wear company uniforms and have picture IDs so you can easily identify them. We come to your Cambridge MA home or office to perform all of our services. We transfer your documents from whatever they are in to our bins and they are locked to secure your information. You can watch your papers being poured into the cross-cutting blades and shredded at a viewing station on the side of the truck. One-Time Shredding – Shredding documents are important but not all companies need to do it often. For those firms with an occasional need to destroy business records, we offer our onetime shredding service. It allows you to call for mobile document destruction only when you decide you need it. Scheduled Shredding – If confidential business records are being discarded in your office every day you need an ongoing document destruction program. Our scheduled shredding service makes it easy. We provide locked bins and consoles that get distributed throughout your office so you and your staff can discard all documents for destruction in them whenever they need to. On a regular schedule, we remove and shred the papers. Your schedule can be weekly, biweekly, or monthly. Ever try to use one of those small personal shredders? It takes forever. Let our residential shredding service come to your home and quickly destroy your personal papers for you so you don’t have to worry about it. We are available to come to your home Monday to Friday so it will be easy for you to chose a convenient date for you. Time for a new computer then before you dispose of the old one you need to be careful there’s a lot of data on that hard drive that could fall into the wrong hands. Remove it and have it destroyed with our on-site hard drive destruction service. We record the serial number and give you a certificate of destruction to verify that your hard drive is physically destroyed. Not all shredding companies have the NAID certification. A1 DATASHRED is a NAID AAA Certified document destruction company with the National Association of Information Destruction (NAID). This means we exceed the strictest standards in the industry.  Make sure you only use a NAID AAA certified company for your shredding project. Everything we shred gets recycled and used to make other products like paper towels and other paper goods. In fact, every ton of documents we shred saves 17 trees! When you choose A1 DARTASHRED, you’re getting the best document destruction service that also helps to protect the environment as well. Give us a call to get a quote and make an appointment today! We look forward to talking to you.